Propane tanks come in all sizes and capacities, making the fuel a convenient option for either residential or commercial use. At Burch Propane, our team is ready to assist you with your next lp gas tank installation from start to finish. Whether this is your first experience with propane as a fuel source for your home or business or you are expanding an existing system, Burch Propane’s number one goal is to give you a safe, professional, and trouble-free installation that will bring you many years of enjoyment and comfort. 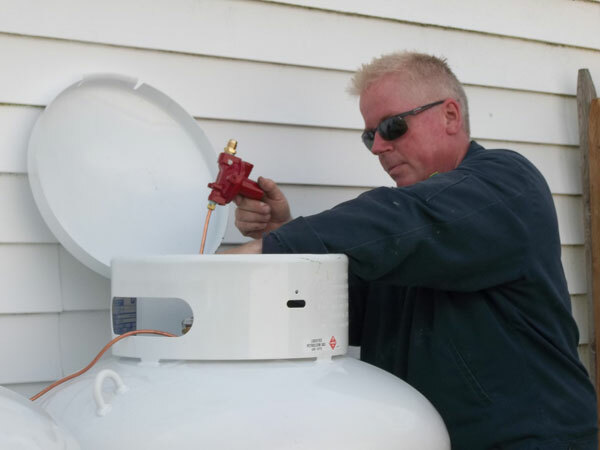 Are you wondering how much it costs to install a propane tank? Each installation is unique, with differing requirements and perimeters. We treat every installation from large to small with the same care and professionalism that has made Burch a trusted name in Southern Maryland for over 80 years. Burch Propane has tank leasing offers and experienced technicians to keep these costs down. We offer aboveground and underground tank installations along with interior and exterior line installations. All it takes is one call to have your propane installation completed in a professional and timely manner. Contact us here for information on pricing, sizing, and more.